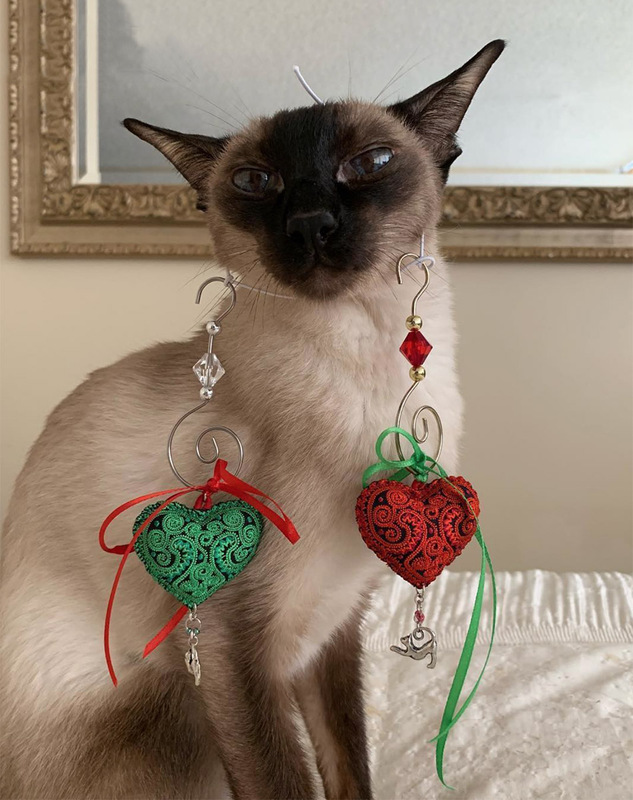 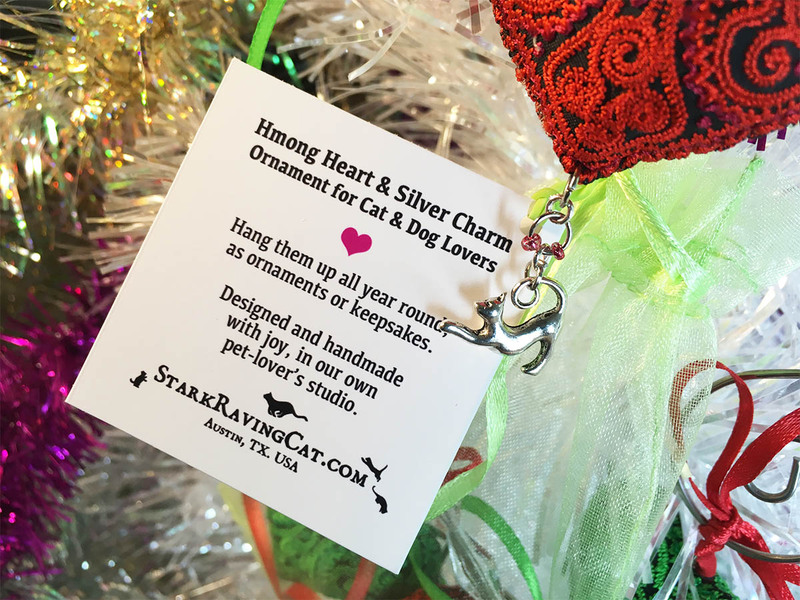 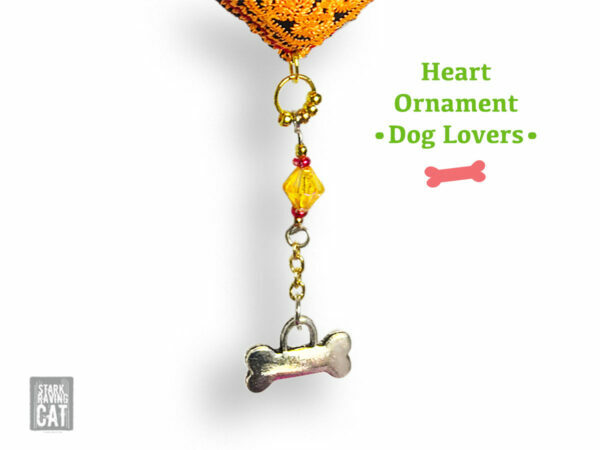 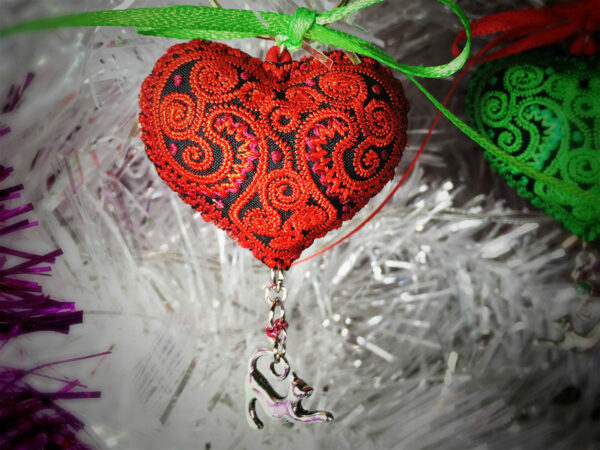 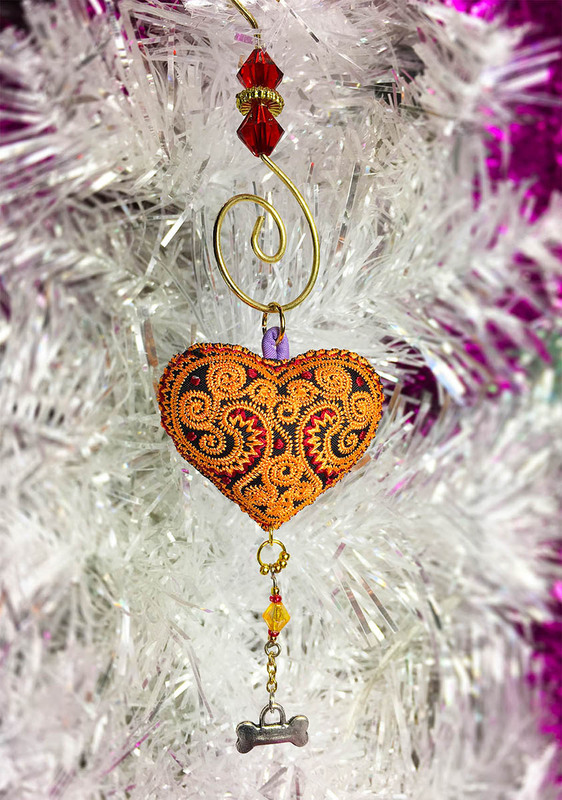 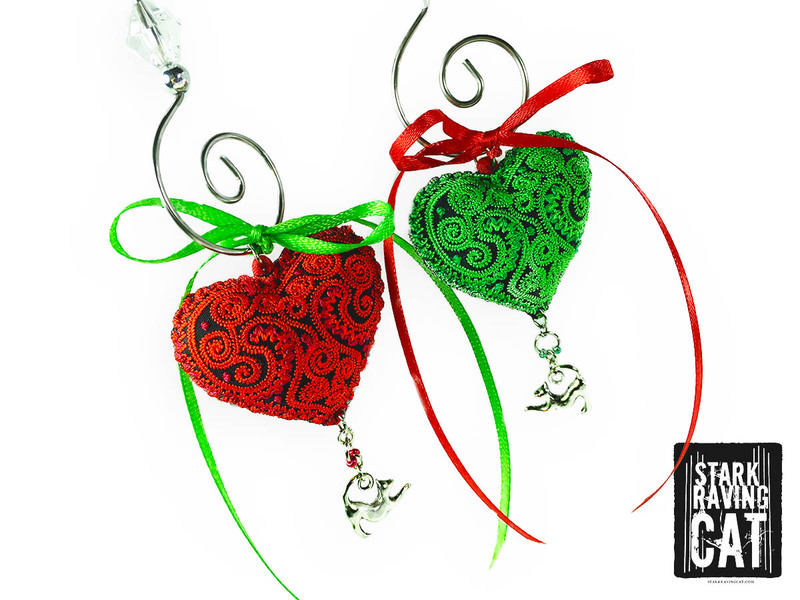 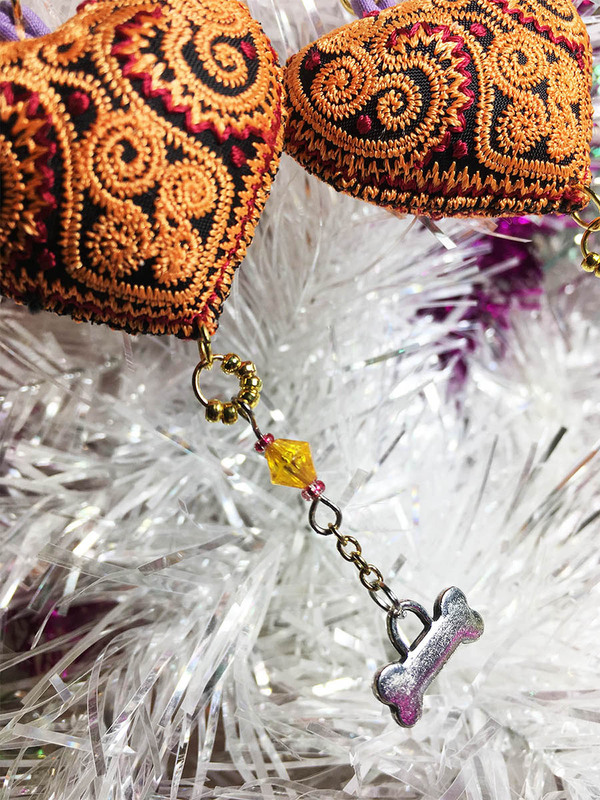 Hang this pillowed heart ornament for pet lovers on a Christmas tree, or give it as a remembrance gift. 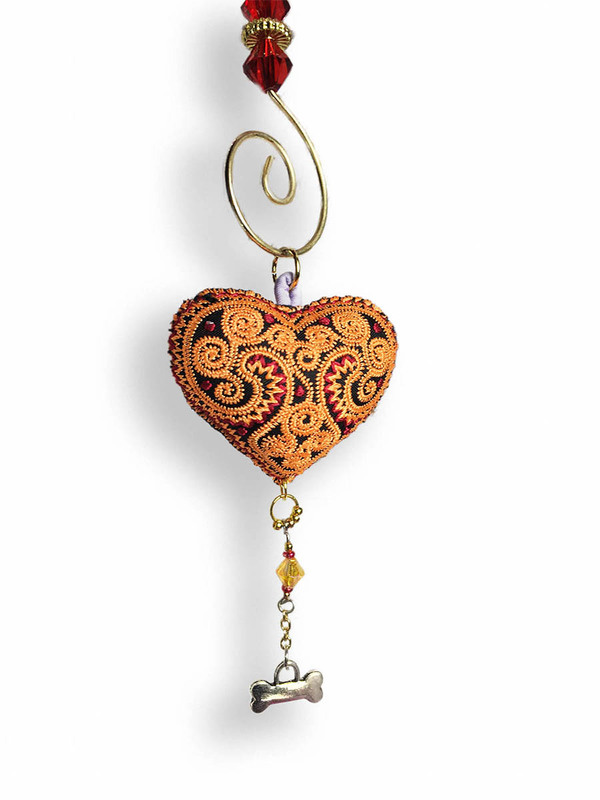 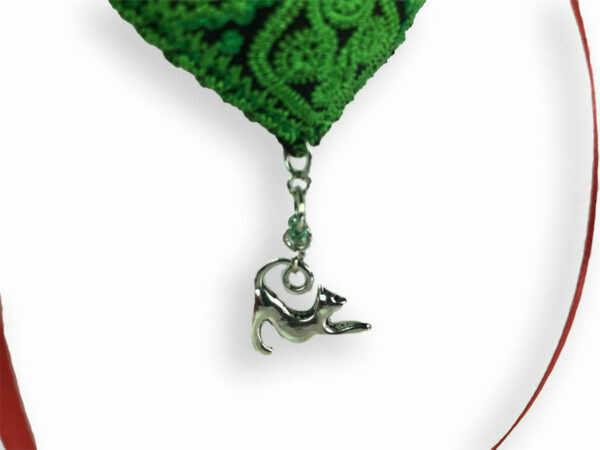 A silver charm dangles from the handmade Hmong-embroidered heart. 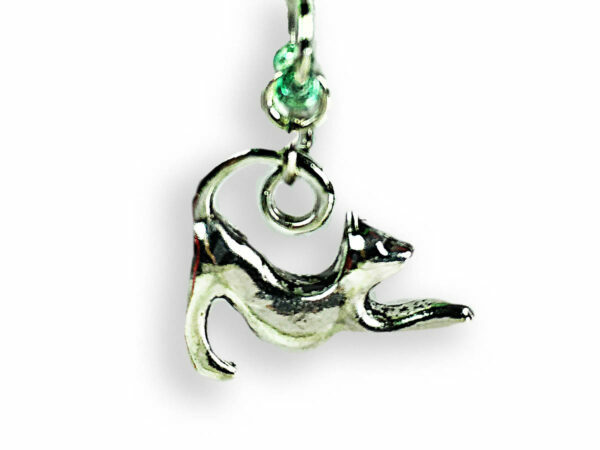 Choose from a set of red and green hearts with cat charms, or a gold heart with a dog bone charm. 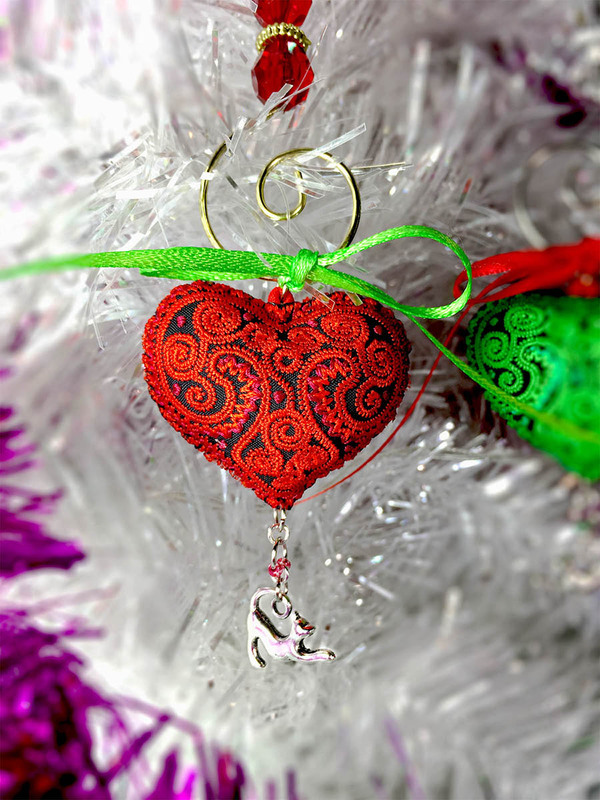 • Each ornament includes a festive curled ornament hanger, with a shiny red or clear bead on top, to catch the light. 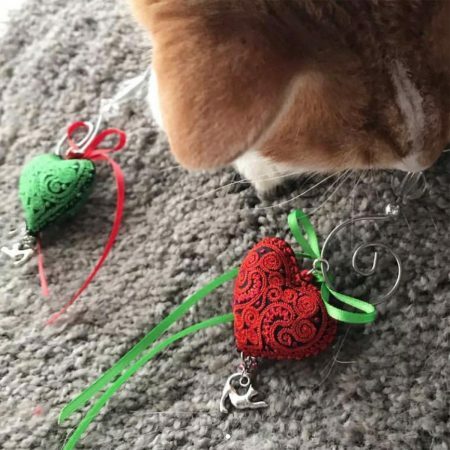 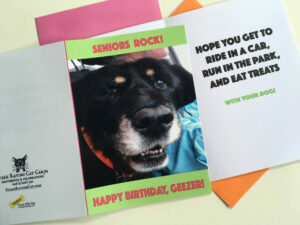 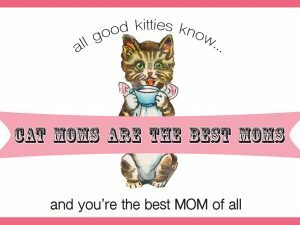 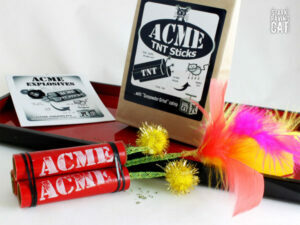 • The packaging is designed to say “I care” – the ornaments come with a decorative gift tag, blank inside to write your personal message, dropped into a lovely organza drawstring bag. 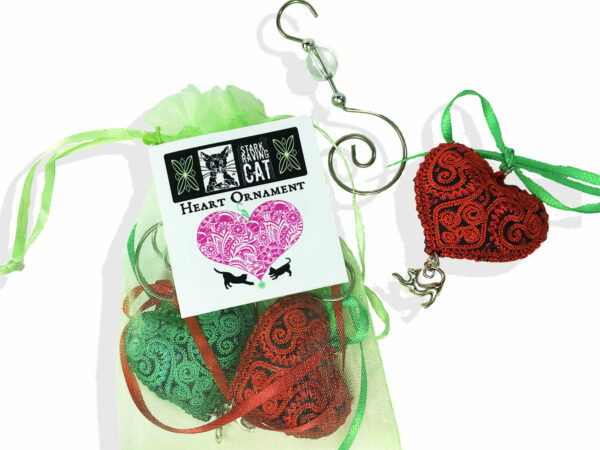 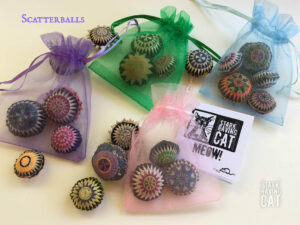 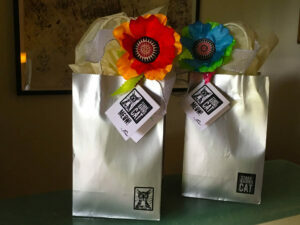 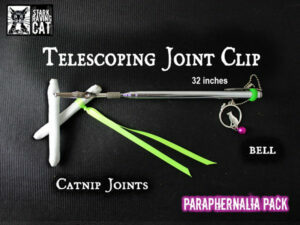 Cat Ornaments come as a set of 2: Keep one for yourself and give one as a gift! 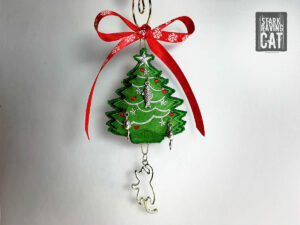 The red and green set of 2 also looks great hanging together on a tree, as shown in the photos. Hearts measure 2 inches or so wide;, about 1-3/4 inches tall, 1/2-inch deep. 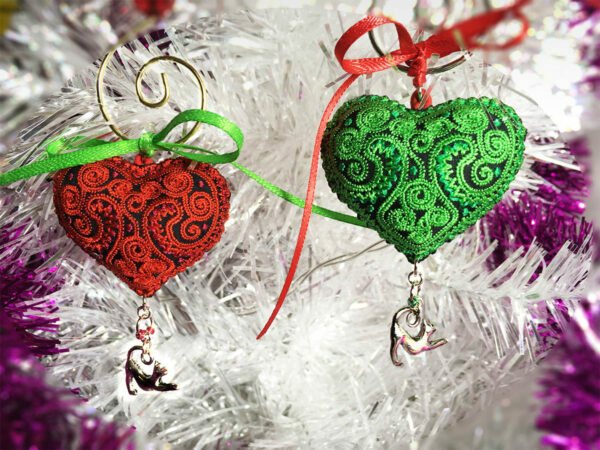 Note: As with all handmade items, details, like the style of beads on curled ornament hangers, may differ slightly from photos.